Concrete pumping is the most convenient method for pouring concrete through a machine to transmit the liquid concrete. Normally, two basic types of pumps are utilized in concrete pumping i.e. boom pump and line pump. Boom pump – It is self-contained unit that comprises of the frame and a truck. It is mostly applied to pour concrete in high up or difficult to arrive at the location. Line pump – It is a portable unit that can pump structural concrete along with mortar, shotcrete, grout, wet screeds and foamed concrete. Huge savings in time - Time is significantly reduced as the time is only required for mixing concrete and delivering to proper location. Besides, the crew doesn’t have to make way for concrete trucks to pour the concrete to all the various locations. Greater Productivity – The concrete pumping allows the crew members to deal with other aspects of the project since they don’t require to utilize shovels and wheelbarrows for the purpose of shifting concrete where it requires to fit. Higher Precision – As the concrete pump expands from the truck right to the proper location the concrete is required, the entire process is error-less and precise. This precision helps with productivity, wasted concrete because of spillage and fewer times for cleaning up. Curtailment in labor costs – Less workers are required to set up and utilize the concrete pump as compared to the standard method of executing things. As less workers are needed, the labor cost is also reduced considerably and a more gainful project is created for the builder. 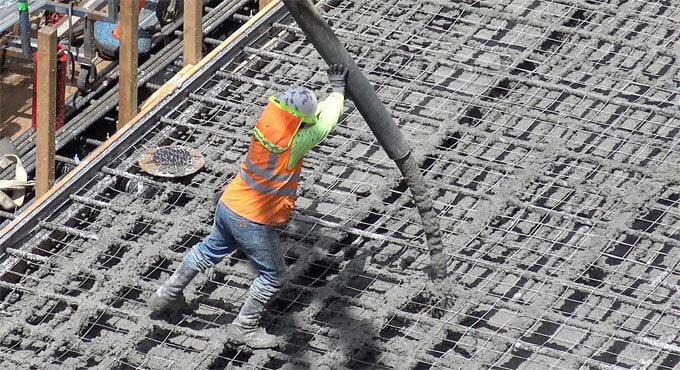 Greater employee safety – The employees needed to drive the concrete pump remain safe as compared to the employees assigned to mix and move the concrete with the conventional method. With concrete pumping, heavy lifting is not required and as concrete moves directly to the spot, it requires less possibility for mishaps that can lead to severe injury. Residential projects similar to walls, foundations and patios. Agricultural projects similar to sheds, barns, silos and bunkers. Civil projects like hydro stations, water treatment plants or bridges. Commercial or industrial projects similar to high rise buildings, ice rinks, strip malls and factories.